Procrastinating about homework. Backtalk. Refusal to do chores. Cursing. 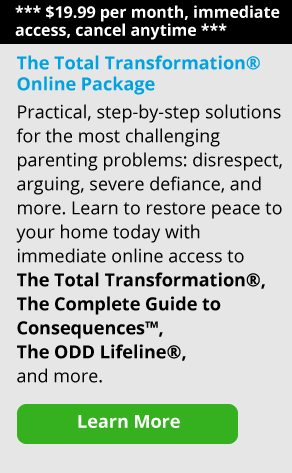 Most of the parents I speak with on a daily basis know something has to change with their child’s behavior, yet they feel overwhelmed about how to change it and unsure of where to start. With this uncertainty, it’s easy to get “stuck” in a place of inaction and growing resentment that nothing is changing. What’s a parent to do? It’s helpful to remember that, as James Lehman said, good behavior is a skill, and kids can learn the skill they need by making it a goal to achieve. Sometimes a good place to start is by talking with your child about what is going on. Chances are, if you are feeling that something isn’t working and are tired of constant conflict, your child has similar feelings and may be motivated to change her behavior. But she might be overwhelmed about how to do it as well. This is when it’s helpful to remember that, as James Lehman said, good behavior is a skill, and kids can learn the skill they need by making it a goal to achieve. No matter what you and your child want to change, the process is similar: pick a behavior, define the issue, plan a goal, and create steps to work toward that goal. In order for change to happen most effectively, all steps in the process need to occur. Let’s look at each step, and how you can help your child achieve her goals. When we coach parents, we typically advise them to focus on only one or two issues at one time. Let’s say your daughter’s room is constantly dirty and messy, it’s irritating you, and you’re both arguing about this…as well as homework and bedtime issues. You can start by picking one behavior—keeping her room clean and organized—and make a goal of that. It is not going to be helpful to add in the other issues you’re experiencing around homework and bedtime right now. This way, you are not feeling overwhelmed, and neither is your child. For some parents, the behavior to work on first may be very clear-cut and easy to pick out. For others, it can feel like they are drowning in a sea of misbehavior from their child. For these parents, it might look something like this: the day starts with a struggle to get your kid out of bed and out the door on time. Then you are dealing with calls from school about discipline problems in the classroom, battles with homework, and explosive outbursts which could involve verbal abuse, physical abuse, and/or destroying items within the home. When trying to address so many issues at once, it can be difficult to determine where to focus the most attention to start to make progress. In this type of situation, we recommend prioritizing any issues which pose a health or safety risk, such as substance use, abusive behavior or any illegal activity. If none of these are present, it can be helpful to determine which area will have the most impact for your family when it is changed. It is specific, in that it defines what a clean room (the goal) looks like, and it’s measurable, so you know when your child has completed it. The final step is to describe the action your child will take to meet this goal. Again, you want these steps to be specific and measurable; you also want to ensure that they are realistic, within your child’s capabilities and time efficient. While your child might spend a whole day cleaning and organizing her things occasionally, it is not realistic to expect her to clean her room all day, everyday. On the other hand, it may not be realistic to expect that her room will stay clean if she is only going to spend 10 minutes on it once a week. Part of creating action steps is also planning for potential obstacles. What might get in the way of your child accomplishing her goal? With the bedroom example, what is the plan if your child oversleeps one morning, or comes home late, and doesn’t have time to do the daily scheduled cleaning? If the bedroom is small, or your child has too much “stuff,” you might also consider that as an obstacle to keeping it clean and organized. If there are aspects you would like to change in your parenting, you and your child can each fill one out, and work on your goals together. Part of the discussion with your child can also include short-term and long-term rewards for working on the targeted issue, as a way to stay on track and keep motivated to change the behavior. As you are coaching your child toward his goals, or working on your own, keep in mind that it is a process and is more involved than simply deciding that things are going to be different. Changing one’s patterns of behavior rarely comes easily, and some setbacks are to be expected. As I remind many parents, we learn as much, if not more, from our failures as we do from our successes. The key is to learn what you can from either situation, and remember to keep looking for the small victories that add up to big changes.